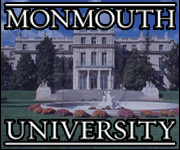 Joseph B. Mosca, Associate Professor, Department of Management and Marketing at Monmouth University’s Leon Hess Business School, is a member of the graduate faculty. Dr. Mosca earned his doctorate at New York University with a focus on management, technology, and education. He specializes in human relations and the effects of technology and education on management and organizational behavior. Current research interests are the interactive effects of technology and education relating to employees and management. Included in his research are the effects of the global marketplace on organizational structures and their cultures. This research is complemented by more than twenty-five years of corporate-level administration in diverse areas: human resources, operations of services, operations of manufacturing, procurement, inventory control systems, office technology systems analysis, and marketing. As a practitioner, his role of corporate director of operations services included areas such as: supermarkets, warehousing and distribution, human resources, discount stores, incentives programs, labor relations, and materials handling management. Current major areas of teaching experiences are: human resource management, human relations, management and organizational behavior, coaching and team development, and management of technology. In addition to responding to the dynamic changes in the management of human resources, he has developed a course in human relations with a focus on leadership, cultural diversity, employee needs, education, benefits, and the legal environment. Scholarly accomplishments include winning The Academy of Strategic and Organizational Leadership Distinguished Paper Award, and publishing articles in the New England Business Journal, the Journal of Public Personnel Management, the Journal of Management in Practice, the Future Research Quarterly, and the Journal of Employment Counseling. Dr. Mosca has presented papers at Moscow State University (USSR), The University of Paris (France), and The University of Dublin (Ireland). He has been the recipient of teaching awards, is a member of the Association of Management and the Human Resource Association, and is a peer reviewer for The New England Business Journal and the Association for Global Business Journal. 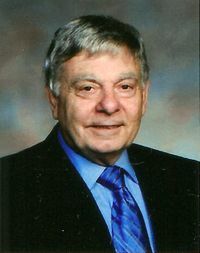 Dr. Mosca resides with his wife, Josephine, in Eatontown, Monmouth County, New Jersey. Joe was first appointed as Chapter Director for the Delta-Beta (ΔΒ) Chapter of ΣΠ Fraternity in August 2003. Prior to graduating, Joe served as the chapter's Sage (President) for two terms during 2001 and 2002. He also served as the Social Chairman, Fundraising Chairman, Community Service Chairman, Risk Management Chairman, and Assistant New Member Educator. Outside of the ΔΒ Chapter, Joe was a member of several honor societies and served as the President of the Inter-Fraternity Council. Once he was appointed Chapter Director, Joe focused on several core programming items including maintaining and improving on the tradition of excellence in the chapter, upgrading all areas of chapter operations, alumni development, and fundraising for chapter scholarships and other purposes. In support of these efforts, he joined with several other alumni to found the Jersey Shore Alumni Club in July 2004. Further, in support of his efforts to raise money to support the active chapter's academic and educational pursuits, he created the ΔΒ Chapter Educational Fund with the Sigma Pi Educational Foundation in December 2005. For his efforts, Joe was recognized with Sigma Pi Fraternity's Lyle H. Smith Award for Most Outstanding Chapter Director for the 2002 - 2004 period and again for the 2004 - 2006 period. In August 2006, Joe was appointed the Province Archon of New Jersey, making him responsible for the results of 9 chapters and 5 alumni clubs spanning across the state. His efforts in building the New Jersey Province into a powerful area were recognized when he was awarded the Curtis G. Shake Award for Most Outstanding Province Archon for the 2006 - 2008 period. In August 2008, he was also elected to serve a 4 year term on the Sigma Pi Educational Foundation's Board of Trustees. He served as the Foundation's Treasurer from August 2010 through August 2012. 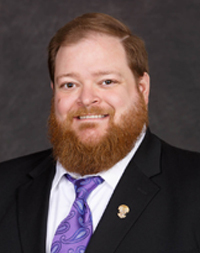 He did not seek re-election when his term expired so he could spend more time developing the programs at ΔΒ Chapter where he resumed his role as Chapter Director again in 2010. Joe works for a statewide, nonprofit loan fund where he primarily focuses on providing financing to charter schools, early care centers, colleges, supportive housing, commercial projects, and small businesses located in economically distressed areas. He is also an Adjunct Professor in Monmouth University's Leon Hess Business School where he teaches undergraduate and graduate level courses on Ethics, Diversity, and Social Responsibility. Also, Joe is an online instructor for Thomas Edison State College where he mentors students enrolled in the School of Business and Management's Nonprofit Leadership, Nonprofit Organizations, Foundations of Leadership, Grant Writing, and Nonprofit Fundraising courses. In addition to these activities, Joe owns a small web maintenance firm and co-owns a t-shirt company focused on providing high quality apparel to fraternities and sororities. Joe graduated from Monmouth University in 2003 with a Bachelor of the Arts Degree in English and minors in Philosophy, History, and Political Science. In 2006, he graduated from the Bloustein School of Planning and Public Policy at Rutgers University with a Master of the Arts Degree in Public Policy with a concentration in Community Development. He also earned a Graduate Certificate as a Public Relations Specialist from Monmouth University in January 2011 and Post-Master's Certificate in Curriculum Studies in May 2014. Joe is currently enrolled at the Rossier School of Education at the University of Southern California where he is pursuing a Doctor of Education degree in Organizational Change and Leadership. Joe currently resides in Tinton Falls, Monmouth County, New Jersey.